The Rolfes Group is a leading black empowered, industry-compliant supplier of agricultural, food, industrial and water chemical management services and solutions for the local and international markets. “We started out in Jet Park, South Africa back in the early 1930s to supply pigments for manufacturing wax crayons,” Govender begins. “We still have a pigments business today, but the focus is on distribution of organic and inorganic pigments, and the manufacture of in-plant and point of sale dispersions,” he adds. “As a group, we manufacture and distribute a wide range of high-quality chemical and organic products to various industries through our Agricultural, Food, Industrial and Water platforms. Rolfes Agri specialises in fertilisers, fungicides, herbicides, insecticides, and special growth adjuvants; Rolfes Water supplies treatment solutions as well as turnkey water treatment plants and, through Bragan Chemicals, we offer a wide variety of ingredients for the food, beverage, bakery, dairy, pharmaceutical and cosmetic industries,” he explains, adding that the Group has warehousing and distribution branches in Johannesburg, Cape Town, Durban and Port Elizabeth to service customers across South Africa. Rolfes Chemicals has three divisions: Tetralon; a water treatment chemical brand, Rolfes Leather; specialising in beam-house chemicals and solutions for the treatment of hides from raw all the way up to ‘wet blue’, and the chemical distribution division,” Govender explains. “The bread-and-butter business for Rolfes Chemicals involves trading of commodity chemicals and solvents,” he continues. “Solvents are widely used across many manufacturing industries. Our range consists of hydrocarbon blends, aromatics, aliphatics, alcohols, ketones, esthers and glycols. The biggest market we serve is the coatings industry, where solvents such as mineral turpentine, toluene, xylene and lacquer thinners are used in large quantities to manufacture a variety of solvent based coatings. “The solvents we supply are mainly manufactured by local oil refineries and the petrochemical industry,” Govender continues, adding that some of the refineries also produce waxes which are part of Rolfes’ product portfolio. Following a visit to the ChinaCoat coating show in December last year, Govender returned to South African inspired by new approaches to coatings including coating management becoming available through nanotechnology. “In general, nanotechnology deals with dimensions and tolerances of less than 100 nanometres (nm), which at times means that materials are being manipulated at the molecular level. A sheet of paper is 100 000 nm (100 µm or 0.1 mm), so nanotechnology involves materials 1 000 times thinner,” Govender explains. ChinaCoat, which showcases mostly local Chinese technologies with only 20% of the exhibitors from rest of world, deals with all kinds of coatings: labelling, printing and packaging techniques as well as the raw materials required, such as industrial inks and paints. “There is a vast range of products on show, from decorative paints to protective coatings for the automotive industry,” Govender adds. Nano-scale paint pigments, for example, can now be manufactured using physical processes such as high-energy milling, laser and flash pyrolysis, electrospraying techniques, and many more. While conventional fine pigment particle sizes are in the 2-5 µm range, nano pigments enable coatings that are an order of magnitude thinner. “Three coats of 2.0 µm paint will result in a surface coating of 6.0 µm or 6 000 nm, while three coats of a nano pigment compositions can be as thin as 300 nm. 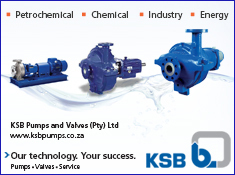 This offers huge advantages in terms of the coating quality and the total materials volumes being used,” says Govender. In addition to the size coating particles used, indicators or sensors are also being embedded into surface coatings to track their condition. Nano sensors for paint coating can detect if the metal is being corroded, by giving an early and accurate warning of the coating’s conditions. They work using pH nanites, which are pH-sensitive indicators that change colour when corrosion products change the pH around them. “With respect to maintenance on a steel bridge for example, previously, scheduled maintenance was implemented to routinely recoat the bridge whether it was needed or not. However, with the new approach of embedding nano sensors into the coating, maintenance need only start when the nanites start to indicate a problem, extending scheduled maintenance intervals,” Govender explains. A similar approach has been adopted for milk packaging: “Nanoparticles are being used in the packaging of milk containers to indicate when the milk begins to turn, which gives a clearer indication of its conditions than the passive sell-by date,” he notes. Another application featured at ChinaCoat was the coating of glass facades on modern buildings. “Glass coatings that use photosensitive nanoparticles are now available. These react to light; darkening in bright sunlight and becoming fully transparent when light levels are low. Not only does this help to achieve efficient heating and lighting in the building, it creates a completely different aesthetic between night and day – and the coatings are simply sprayed onto the glass before installation,” Govender tells MechChem Africa. He also highlights the anti-graffiti coatings, which incorporate nanoparticles that prevent the spray cans favoured by graffiti artists from binding to painted and decorated surfaces. “Buildings painted with these coatings are much more easily cleaned of painted graffiti on the substrate. In a UK trial, the coating was applied with a conventional brush and roller. Once dried, graffiti was applied. This was removed within minutes by buffing,” he says. “While coating chemistry hasn’t really changed for many years, we are now seeing more and more technology being introduced. By adding these tiny particles to our coating recipes, we now have access to a host of special and advanced coating properties. While the additives themselves are not simple, we have access to them. By including them in our compositions, we can offer clients a host of customised solutions to make lives easier for all of us,” he says. 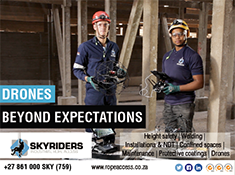 “At Rolfes, we grow our product range purely based on customers’ needs. Now we are diversifying and going into new specialised products that enable us to bring better solutions into Africa. We believe that nanotechnology has a lot to offer in this regard,” Govender concludes.